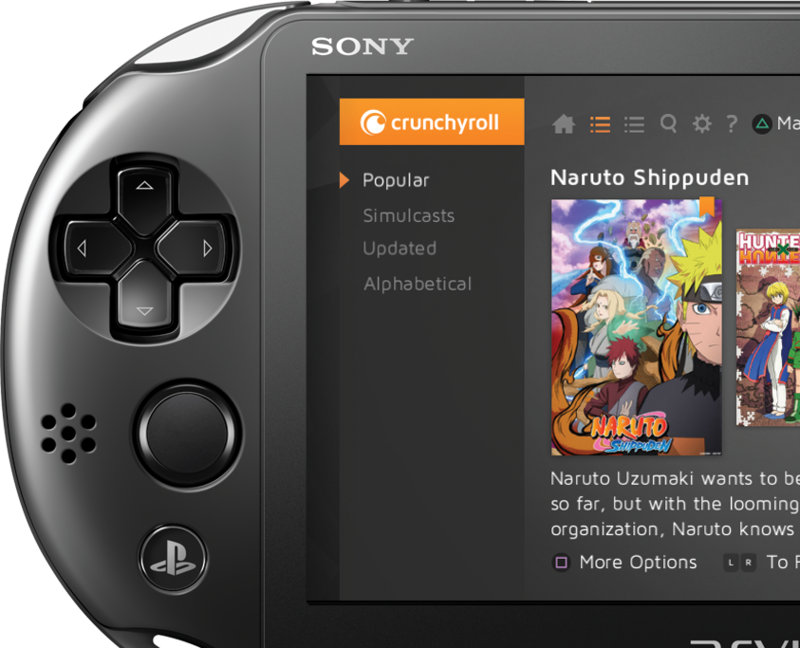 Crunchyroll — Watch the latest and best selection of Anime from Japan, including Naruto Shippuden, Attack on Titan, Kill la Kill, Hunter × Hunter and many more, as early as 1 hour after Japanese broadcast. Qello — You can now watch your favorite artist’s full-length performances in HD whenever and wherever you want. Qello Concerts streams the largest collection of HD concerts and music documentaries right to your PS Vita, including popular artists such as Coldplay, Linkin Park, Nirvana, Bob Marley, Beyonce, and so much more. With Qello, the concert never ends! Gaiam TV — From energizing yoga and fitness classes to inspiring documentaries and cutting-edge programs, Gaiam TV takes you beyond the boundaries of mainstream media to reveal new perspectives for our changing world.